The first shade I tried (and featured in my Shopping list ideas video) is Bronzy Pink. The name pretty much sums up this shade perfectly, and I enjoy the amount of color it gives off. These give color that reminds me of a lipstick, but they are SO moisturizing- if you weren't looking in a mirror, you'd just feel like you were putting on a lip balm. They are surprisingly long wearing, and they seem to fade leaving a light stain all over your lips (especially Rosey). I'd describe the scent as light- to barely there. I like how there are a variety of finishes. As you can see, Bronzy Pink and Golden Pink both have some shimmer, while Rosey is a creamy, non-shimmery shade. There are 5 other colors ranging from Orange to Brownie that I've yet to try. You can see the swatches below- they correspond to the TLB's shown above. These are really fantastic for only $3.99 apiece (or $3.79 with your Sally's Beauty Club card!). You can check them out on Sally's website, or head to your local Sally Beauty Supply store. Again, I was so impressed with the first one I tried, I had to go out and get a couple more. They'll be a fixture in my purse and makeup bag- and I hope you get the chance to try them out yourself! Have a great day! i'm really excited to go and try this out! Thanks, Em! Can't wait to get them either!! The middle one, in the tube, looks like the NYC 'Wild Orchid' Lipstick (which I adore!) I must go and try! My current favourite UTLB (untinted lip balm) it Soft Lips. I love there scented ones, especially Melon! I've never tried the Palladio TLBs (hehehe) but that middle color in particular looks so pretty! I've tried Palladio's lip glosses and they are really light and non-sticky, so I'm sure these balms are great products too. Have you tried the Wet n Wild version of this product? They're called Lip Shimmers or something, and they're part of their newish all-natural line (not all the shades are shimmery BTW). 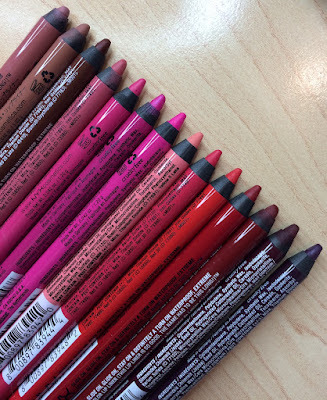 I picked up two colors (Spice, a bright pink, and Maple, a bronzey coral) today because WnW was BOGO at Walgreens, and they are very moisturizing and very, very pigmented! I believe they were $1.99. You should try them out as well! I'm moving to California soon and I was wondering...can anyone can a Sally's Beauty Club card? Kizzy, anyone can have a Sallys Beauty Club card. Professionals get them for free, general public has to pay $5 per year. But you get your $5 back because when you sign up for one you get a $5 coupon to use the following month. Just an FYI after the beginning of the year the discount professionals get will be a little better than the beauty club discount. There has been a lot of complaints from professionals that the general public get their discount. I don't know if the professionals will get a further discount or if the beauty club discount will be less. On my list. I hate these long lists, but some of my Gurus, you, make it sound wonderful and I know you're not pushing stuff you don't like for freebies. I don't know why I know that, I just do. Pity I have never seen them here in Europe and Sally's doesn't ship internationally. You can also get these at Ulta...they are super moisturizing! Thanks Jennifer! I'm definitely gonna get that card! You can also find this great lip balm at your local Beauty Supply. Gorgeous!! I want to find out if there's a Sally's in my area! And while I'm at that, see if they have ChinaGlaze!! I bought one. You are right! They are beautiful! 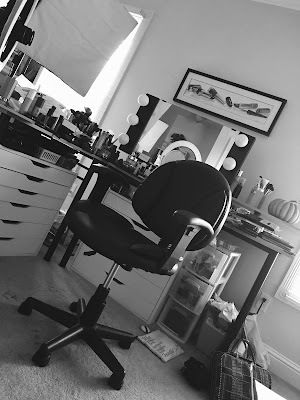 How would I EVER navigate all this make-up with you Emily? Thank you! Aww.. your blog is awesome, I can't await future entries along with I'll definitely be coming back again to your past entries for all those makeup reviews! : ) What Is Apple Pay?